Now I don’t know about you, but “The Night Manager” is one of my all-time favorite BBC dramas. Maybe it’s the enviable and dramatic locations, the heart-racing plot or Tom Hiddleston’s smoulder, but either way they hit the nail on the head. 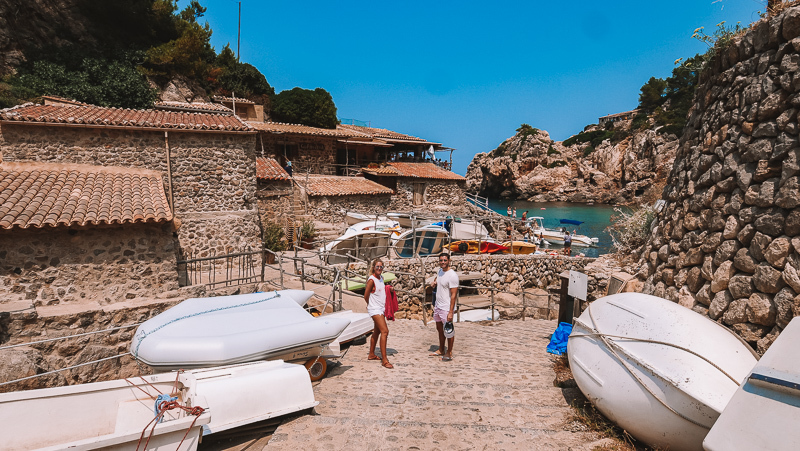 Whilst Mallorca plays host to more exceptionally good television (for those who aren’t aware, Love Island is a captivating and extremely well put together ‘summer show’ filmed there … ), a restaurant location shown in The Night Manager in the north of the island, DeiÃ , peaked my interest. 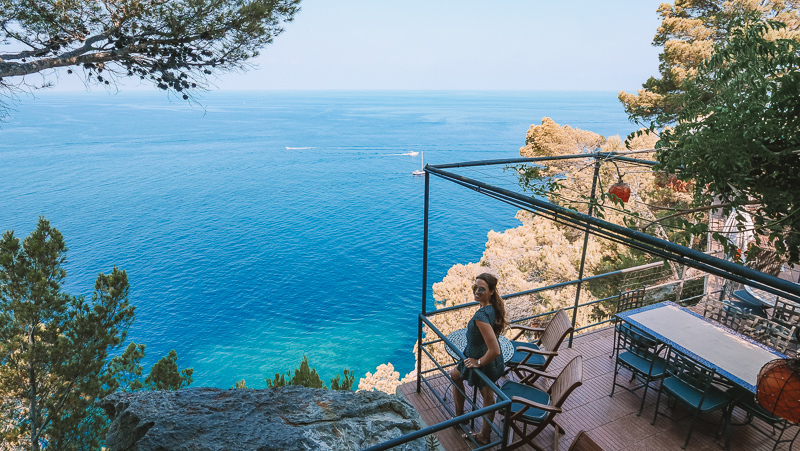 Set up on a cliff and using the surrounding boulders as walls with natural wood picket fences overlooking the azure blue seas, it’s quite the treat. It may not be the best-kept secret of all time, it’s actually extremely popular … but it had you reading this right!? 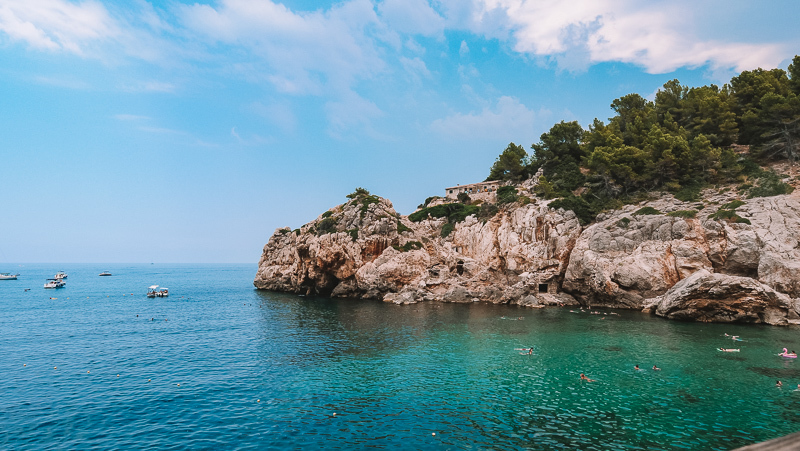 We have an apartment in Bendinat (South Mallorca), so it’s a rare occasion we head to the other side but this summer we decided to be more exploratory. 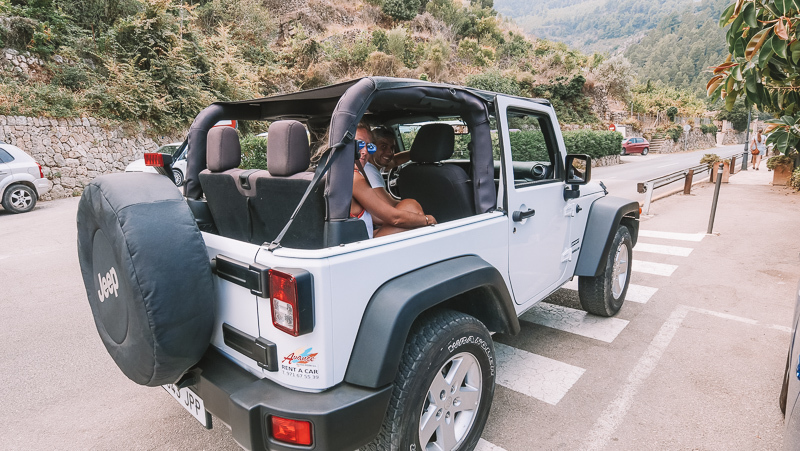 With Jack and one of my best friends from Dubai, Lucy, we hired an open-top jeep for the day and drove a very breezy 45 minutes up to DeiÃ to satisfy my curiosity. 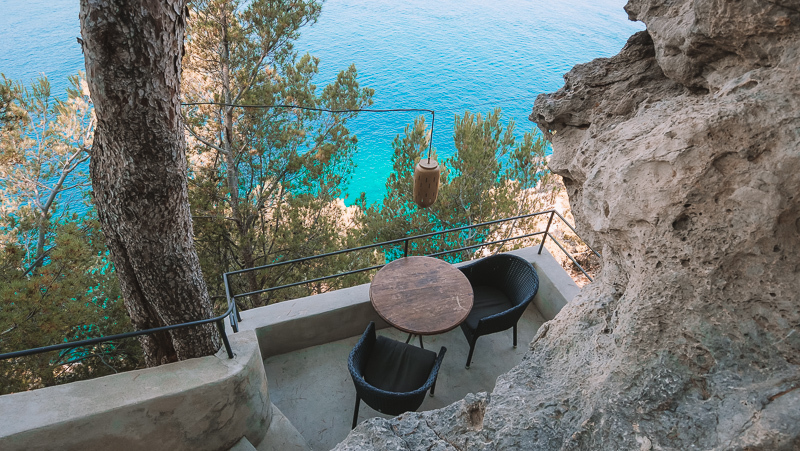 On the way, we stopped in Soller to check out a new design hotel, Bikini Island, that has just opened down the road from the more well-known Jumeirah resort. It couldn’t be more unassuming from the outside, but inside is a beautiful and thoughtful eclectic mix of interiors that cast you far away from the larger hotel chains. We had a quick peek into the restaurant (with the menu seemingly one of the best and most veggie / vegan-friendly ones I’ve seen on the island) and a glimpse of the pool. 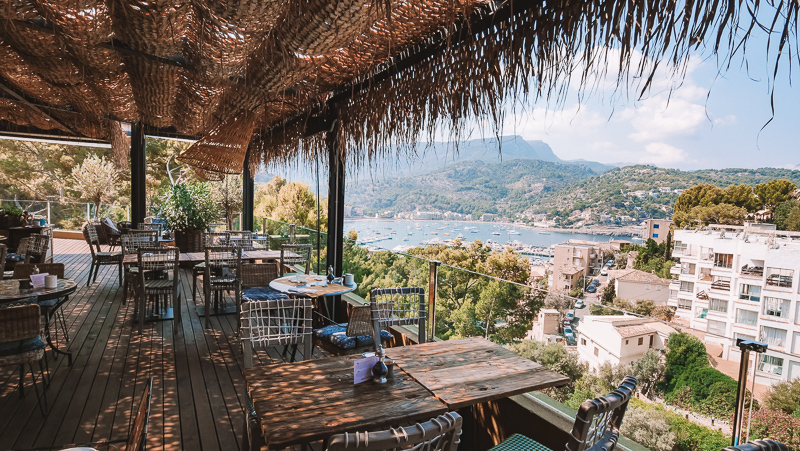 The rooms and their terraces look out to Port De Soller and whilst the pool & sun lounging area was a pretty sight, it’s far busier and more packed in than you might expect. All in all, worth a mention! 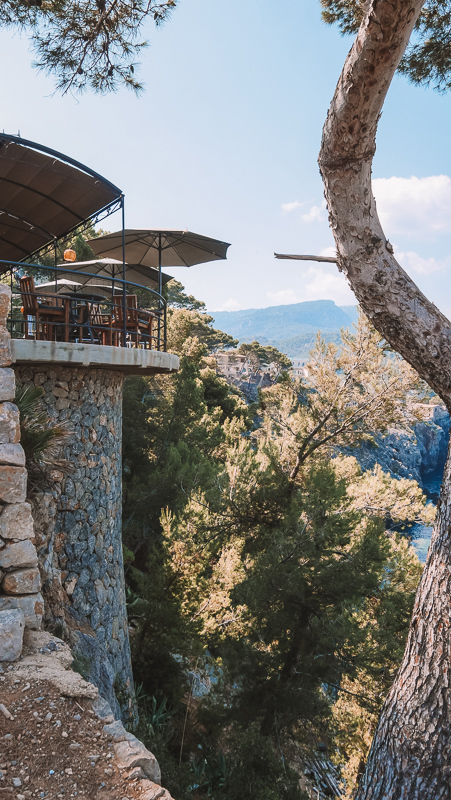 The real gem worth touching on here though is one we stumbled across heading back to the car; the definition of the perfect cliff-side restaurant. Not open until noon, we patiently waited by the doors to have a late-morning coffee and soak up the sea-breeze. 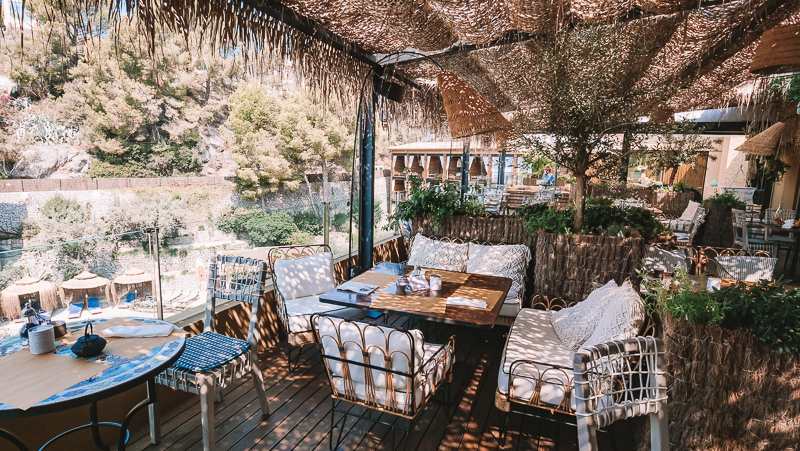 Whilst I didn’t get the chance to try the food, this setting really is stunning and on my list for a relaxed lunch or sunset dinner next year. 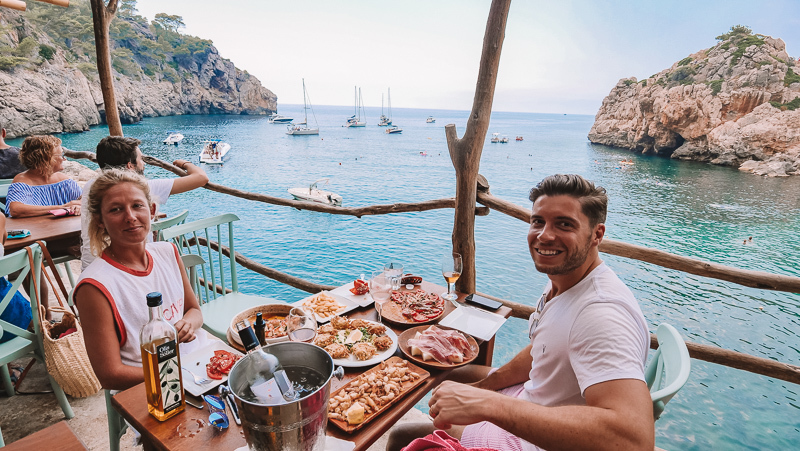 For anyone looking for a private and authentic proposal spot, take a peek at the romantic table for two set into the cliff! 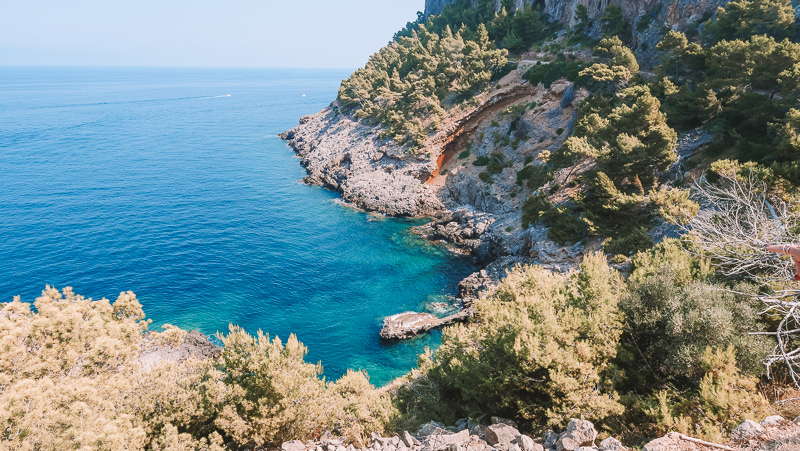 Then off to DeiÃ ! 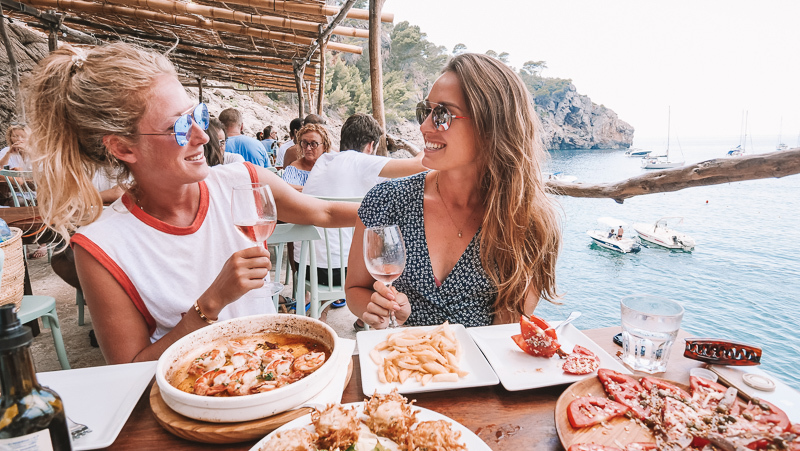 We could only secure a 3 pm lunch sitting at Ca’s Patro March (you must book during peak season) but it gave us time to enjoy the scenic and hilly drive through the small town of DeiÃ itself. 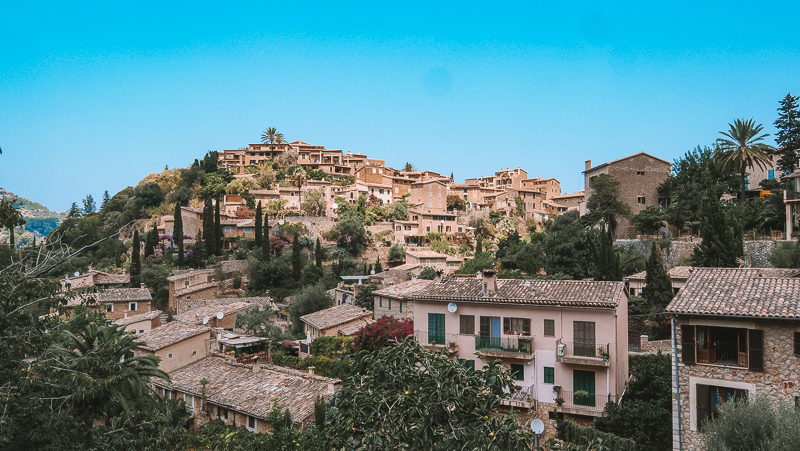 If you want somewhere with more shops and cafes then I’d suggest stopping in Valdemossa on your way up, there’s simply more on offer. 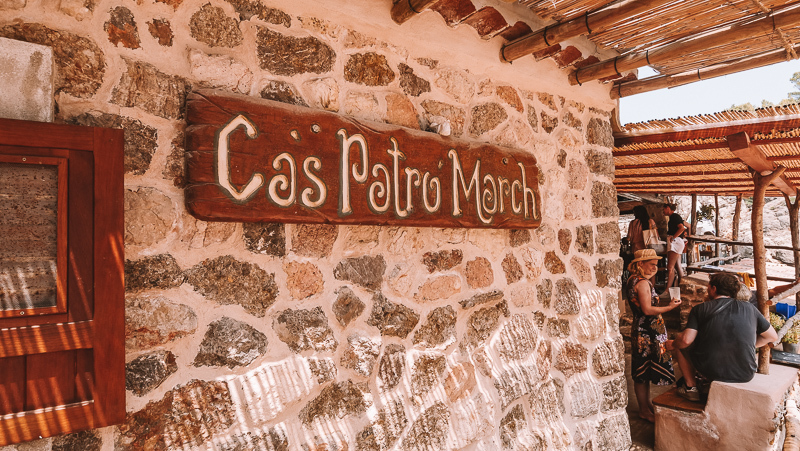 The entrance to Ca’s Patro March is at the top of the hill in DeiÃ , leading onto a rather nerve-racking and windy narrow drive down to the beach itself. A lot of people walk but we had the car and parking in the village is super tight. There are paid parking bays right at the bottom so pass all the cars that have pulled up on the side and try your luck in the bays as people leave quite regularly. The beach leaves little to be desired, but maybe that’s because I’m used to a sandier cushioning! It doesn’t seem to steer the locals away though; every rock and crevasse was lined with a towel and sun-kissed body. The diamond blue water is like dangling ice cream in front of a 5-year-old; overly tempting and almost impossible to resist. We decided to try our luck at an earlier sitting having arrived at 2.30pm. With a queue backing up outside every minute, we were told to buy a drink and wait till 3 pm, so that we did! 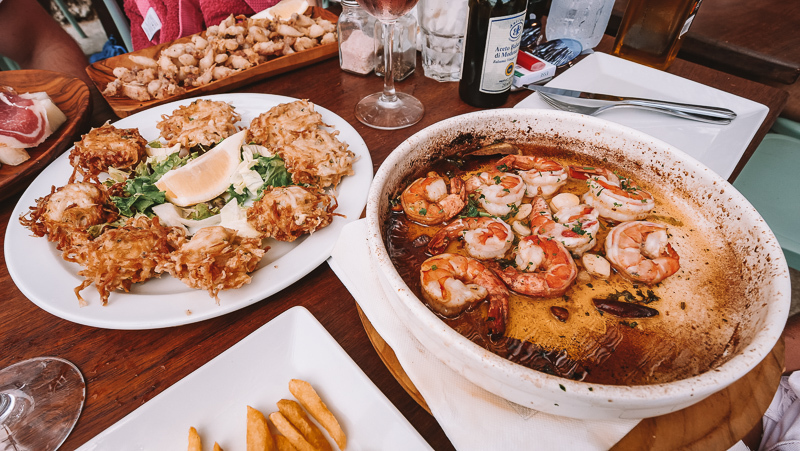 You can’t reserve (at least as far as I know) a table on the outside closest to the sea, but really this is what makes the lunch. Fortunately, we bagged a gem of a table in the ‘corridor’ part of the restaurant away from the hustle and bustle at the entrance, overlooking the water. 3 happy customers! Whilst others may say it’s not super impressive, I think the food is best described as solid. Yes, you’re there for the atmosphere and view but I can’t say the food lets the side down. You will pay for it though! 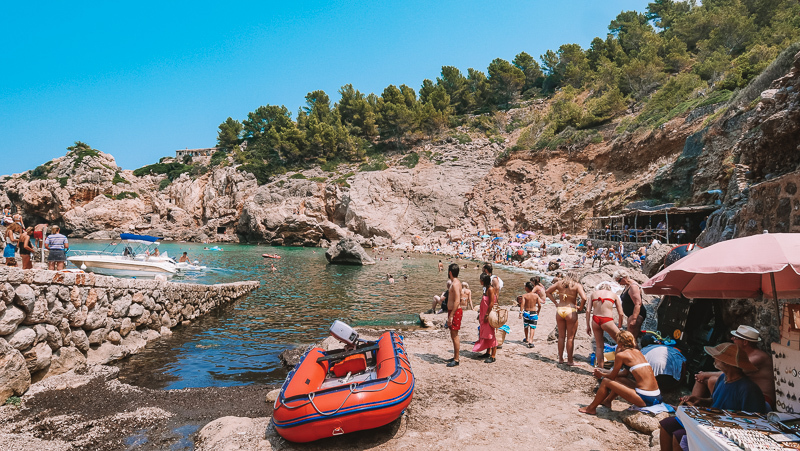 Don’t think you’re arriving at a Spanish-local where things are priced accordingly, they know it’s a tourist hot-spot so be prepared to pay 25 euro for some grilled prawns and 35+ for ‘catch of the day’. 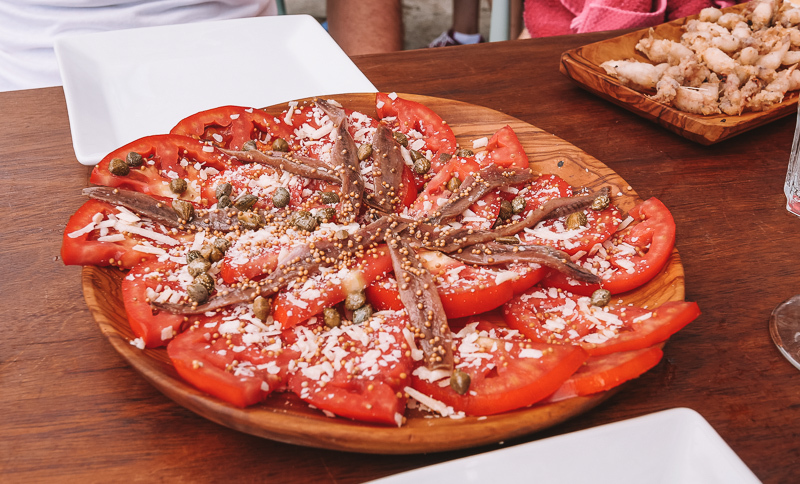 Whilst not shown here, the ‘anchovies in vinegar’ were addictively moreish, the tomatoes were juicy and whitebait fish croquettes are a real treat. 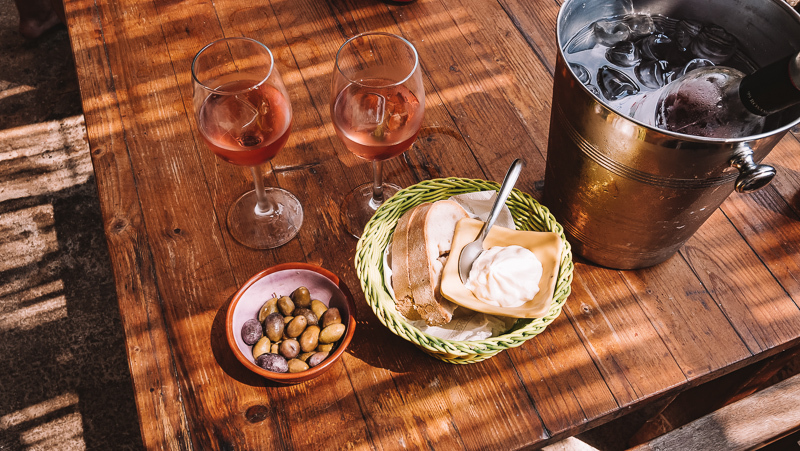 The service, unfortunately, did leave a few things to be admired from both my experience and others, but in their defense, I presume the staff are rushed off their feet from noon onwards so try to accept the restaurant for what it is, order a bottle of vino and enjoy the afternoon. Don’t go if you have a flight to catch afterward! I hope you enjoyed this post! 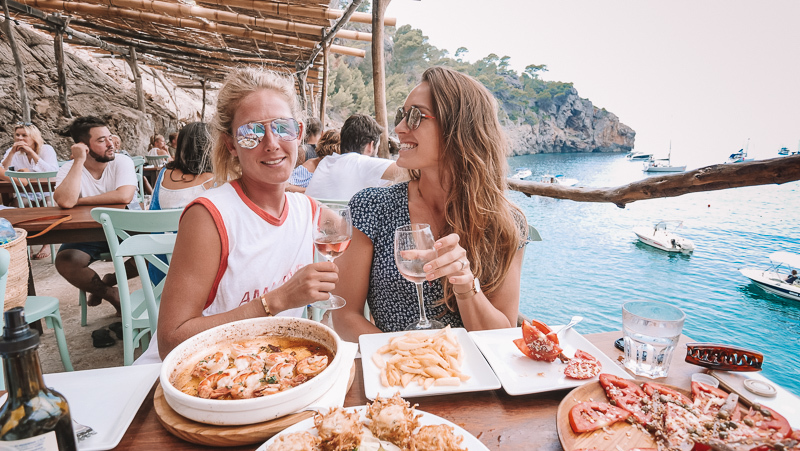 I know a lot of you that follow me on Instagram had messaged me about the places I visited in Mallorca so fingers crossed this gives you a better insight :) Any questions about these spots or other recommendations (mainly in the south) then please do comment below and I’m happy to help! 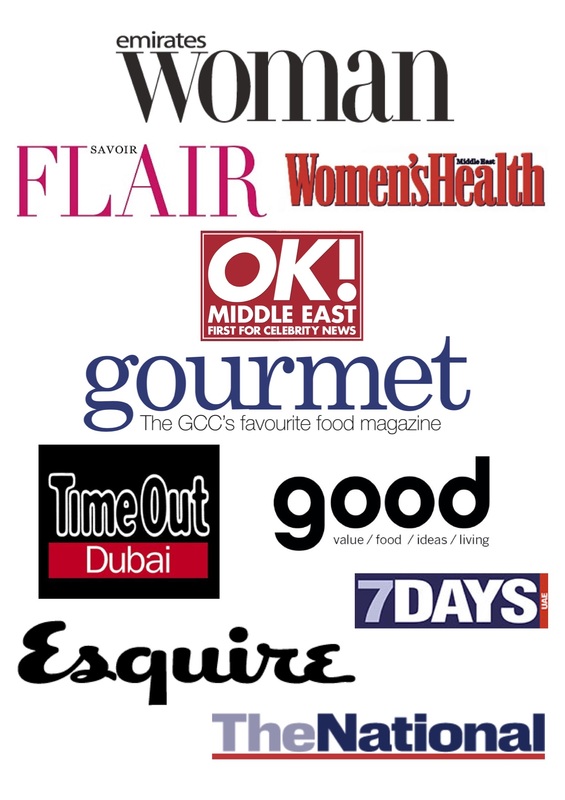 Lean Living Girl, thank you for your blog post.Really thank you! Awesome. 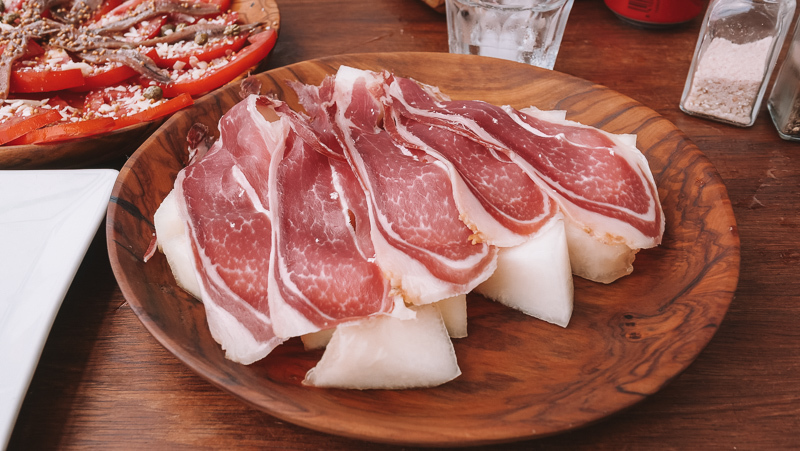 Looks amazing, I will go for sure after this review!